Losing your dog used to be a common occurrence in years gone by. In 2019 this should not be happening. Technology has come a long long way and finding anything these days is simple. Smart Phones and GPS products are available at fantastic prices all around the world. 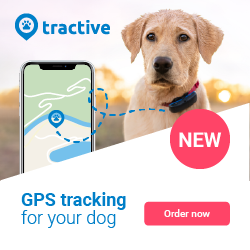 What makes this Dog Tracker stand out? In comparison to other GPS Trackers, the Tail It Dog Tracker firstly connects directly on the dog collar. Other GPS Trackers for Dogs tend to come with their own GPS dog collar that your dog may not like. They also can be much larger and heavier and even include an antenna making them look ugly. Dogs do tend to go on their own little hunt, even when not out hunting. Ralph loves to try and get out of the garden and on occasion has surprised us and escaped. With a GPS Dog collar you will always be able to find your dog. As the Tail It Dog Tracker is so small, it can be worn at all times without any problems. The app that you can download for Free is readily available on IOS and ANDROID devices. Hunting Magazine have tried and tested the Tail It GPS Tracker for dogs with outstanding reviews and results. Wet and Dry conditions, Mountain and Valleys, countryside and busy towns. All these different tests passed with flying colours making this, to me, a stand out product. Many trackers last a small amount of time (40 hours) before needing to be recharged or have new batteries installed. During the tests by Hunting Magazine, they thoroughly tested the battery life. Updating the device regularly and using the GPS Tracker for dogs, they found it lasted for approximately 11 days. Finding your pet is simple. Simply select “update location” on the app and you will find the current location of your pet. This is displayed on the tracker map. Using signals from 3 GSM Stations and also satellites for pin point accuracy. If you pet has gone outside of GPS, Tail It uses information provided through algorithms via wifi and the GSM base stations to provide a location and display this in the Tail It App. Tail It Dog Tracker is also waterproof which will help with dogs that love to go through puddles or be out in the rain. For the 11 day battery life there is a charging time required. Do not panic – in just 2 hours 30 minutes your battery will be fully charged and ready to go. Finally, the device does require a small subscription fee to ensure the app and device works. The more pets you have, the more devices you require. Tail It have ensured that for people with more pets then they can save a little extra money. Starting at just $4.99 for the first 2 devices then $2.49 for you 3rddevice and then from your 5thdevice onwards the price is $1.49 – check out the subscriptions page for more information. – Unlimited number of devices per user. We have also provided a video that is available on YouTube and from the Tail It Website (see below). The instructions for the dog tracker is in Norwegian, but you can see how the device is built, and how it looks inside the application.